The Oreos may have been my favorite new cookie of the season, but these little shortbreads are a holiday staple at our house. And when I say Holiday, I mean Valentine’s, Easter, Halloween, Thanksgiving, Christmas, my Birthday… They just have that perfect sweet and salty mixture that makes them absolutely delicious! Slowly add the flour and salt. Wrap dough and chill for at least 2 hours. 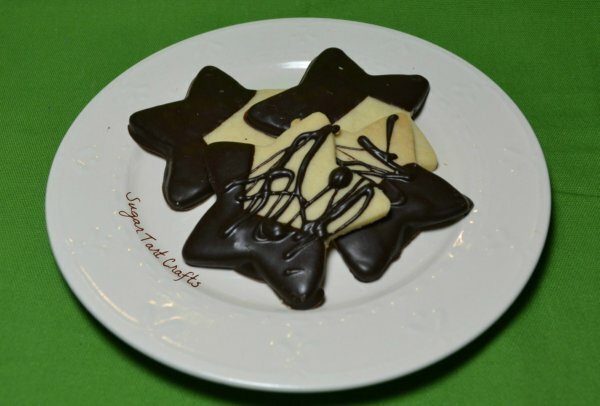 Roll out dough and shape with cookie cutters. Place cutouts on a baking sheet and chill about 30 min. Bake at 300 degrees for 18 minutes. 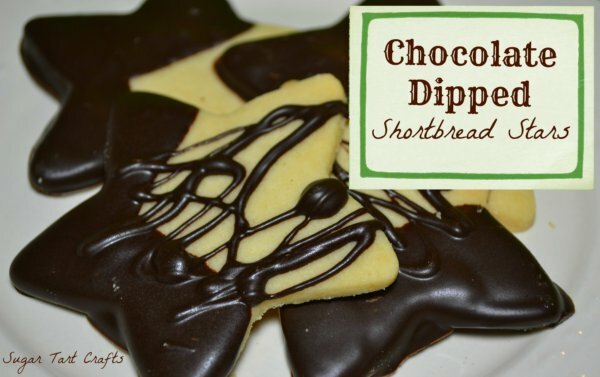 Melt chocolate with oil in a double boiler, and dunk or drizzle cookies once have cooled. whenever your sweet-tooth gets a craving? Yummy!!! Definitely making these! Found you on TipJunkie!